Breakstone, White & Gluck of Boston represents individuals, families and workers who have been injured in gas explosions, including propane gas explosions and natural gas explosions, in commercial buildings, homes and on construction sites. 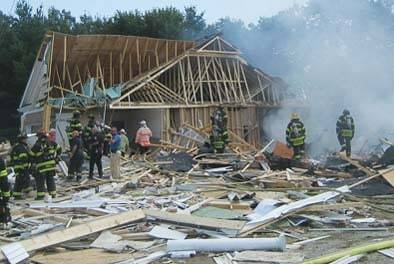 In 2012, our attorneys successfully recovered $7.5 million for the family of an electrician who died in a propane gas explosion in Norfolk, Massachusetts. We are currently assisting individuals injured in the Columbia Gas explosions and fires in Merrimack Valley, homeowners and tenants whose property was damaged, as well as families whose gas service was interrupted. Breakstone, White & Gluck is here to assist affected residents and businesses in Lawrence, North Andover and Andover. If you have been injured, have property damage or are living without gas service, you may be entitled to seek compensation, beyond what Columbia Gas or assistance funds may offer. Every resident and business has unique needs. We urge you to consult our experienced Massachusetts gas explosion lawyers before you sign off on any payments. Call us for a free consultation at 800-379-1244 or use our contact form. Watch the video below to hear about one client's experience with our law firm. You can also view the case report. Natural and propane gases are both powerful, odorless fuels which are used for a number of purposes, including home heating, water heating, cooking and barbecue grills. These gases must be handled with care according to industry safety regulations. Propane is typically delivered in pressurized tanks. As a gas, it is much heavier than air and will pool along the floor and in low areas. When a leak occurs, propane is highly flammable and can be easily ignited by fire, smoking materials, electric sparks or static electricity. Because it is odorless, it uses a chemical additive, ethyl mercaptan, which emits a “rotten eggs” odor when there is a leak, warning those in the area to evacuate. 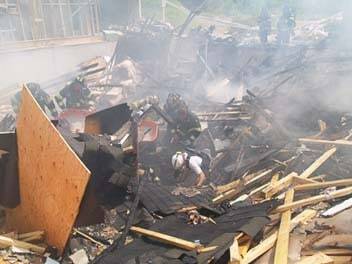 Propane gas explosions can occur anywhere propane is improperly handled, including private homes, commercial buildings, and construction sites. Many propane explosions happen on construction sites. They can occur when piping is not tightened, when there is a leak, when a company fails to follow safety regulations or when there is a defect with the chemical additive. In some cases, victims have no warning before a propane explosion because they never smell the chemical odorant. The odorant may never have been added or may have lost its scent, a condition known as “odorant fade.” With propane gas, odorant fade can result when a delivery company does not properly fill the tank to capacity and when a new propane tank is not properly treated, leaving it with moisture and rust. Natural gas, which primarily consists of methane, is delivered to homes and businesses through underground gas lines. Leaks leading to explosions can occur when gas appliances, heating systems, and water heaters break. But more often, they occur when aging underground pipelines are not maintained or are struck by construction work. Like propane, natural gas uses a chemical odorant as a safety precaution to assist in the detection of leaks. Odorant fade – when gas loses the additive’s scent – can also occur in natural gas. With natural gas, odorant fade can occur during periods of low gas flow through the pipeline. When new pipes are not properly conditioned, a process called adsorption can also occur and strip the gas of its odor. Numerous parties may be liable for explosions, including the gas supplier, tank manufacturer, delivery company and contractors such as heating and air conditioning companies. Gas explosions always cause serious injuries, and wrongful death. If an individual survives, he or she may suffer severe burns, broken bones and lifelong physical and emotional injuries. A victim may suffer a permanent disability and be left unable to work. If you were injured, you may be entitled to compensatory damages, including medical bills, lost earnings, loss of affection, emotional and psychological injuries, physical pain and suffering and other expenses. In wrongful death cases, family members may be awarded punitive damages. 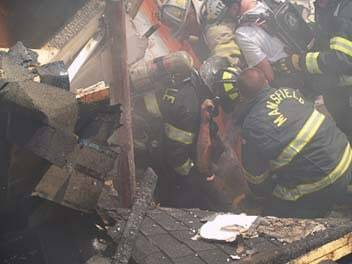 If you or a loved one has been injured, it is critical to contact an experienced Boston explosion lawyer. A lawyer can conduct an immediate investigation, preserve evidence and promptly speak to witnesses. A court order may be necessary to preserve evidence. Massachusetts has a Statute of Limitations which restricts how long you have to file a claim. Breakstone, White & Gluck represents individuals who have been injured by negligence across Massachusetts, from Boston to Merrimack Valley and Lowell and Lawrence to the Plymouth and Brockton region to Cape Cod, Fall River to Framingham and Worcester. For a free legal consultation, contact us today at 800-379-1244 or 617-723-7676 or use our contact form.